Google announced that .05% of you may have issues (i.e. slowness) accessing Google tomorrow due to it being World IPv6 Day. 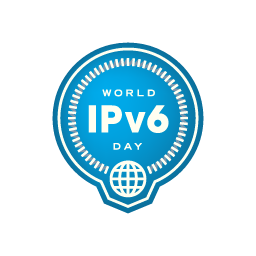 World IPv6 Day is when the major internet companies, including Google, Yahoo, Bing and others, switch over their systems to support the IPv6 protocol. Google said 99.95% will have no clue anything changes but .05% of you may experience slowness using Google, Gmail, YouTube and other sites like Facebook, Twitter, Yahoo, Bing, Microsoft and so on. How do you know if your ISP supports IPv6? Google has a test site that can let you know prior to tomorrow. In the past we discussed IPv6 SEO and IPv6 with Google Webmaster Tools.